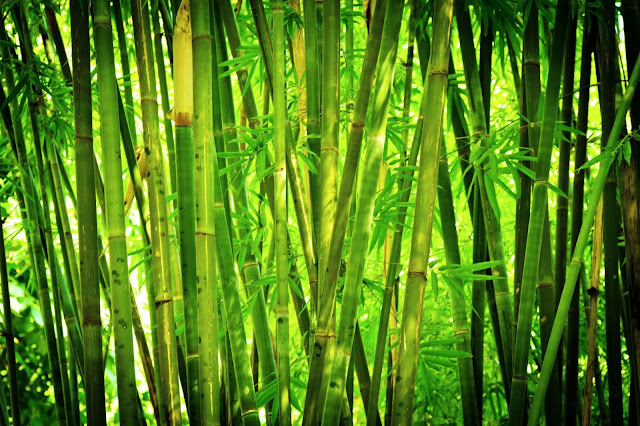 Bamboos have a life-cycle of 3 to 130 years, varying among species. Normally, new bamboos grow up from bamboo shoots at the roots. At infrequent intervals for most species, they will start to blossom. Most bamboos species flowers once every 60 to 120 years. After blossom, flowers produce fruit (called “bamboo rice” in parts of India and China). Following this, the bamboo forest dies out. Since a bamboo forest usually grows from a single bamboo, the death of bamboos occurs in a large area.